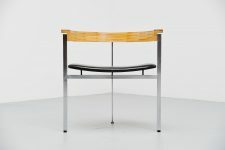 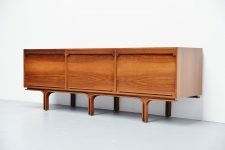 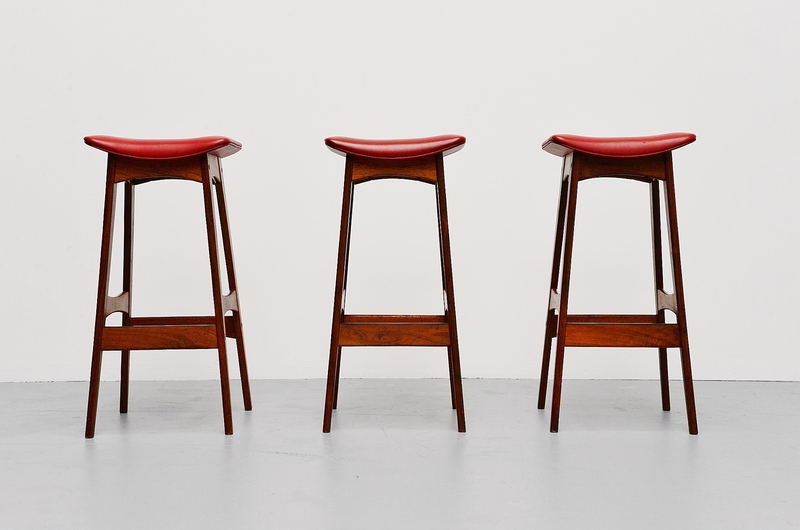 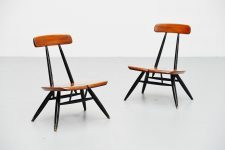 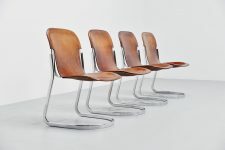 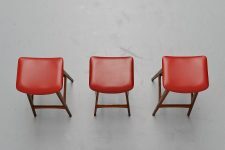 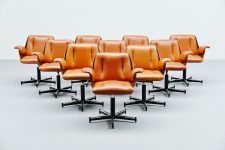 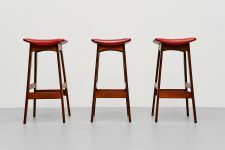 Fantastic set of 3 counter bar stools designed by Johannes Andersen manufactured by Brdr. 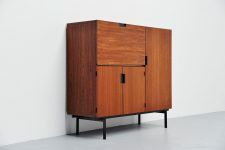 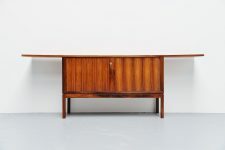 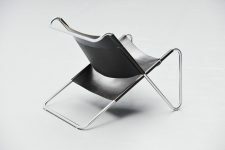 Andersens Møbelfabrik A/S, Denmark 1961. 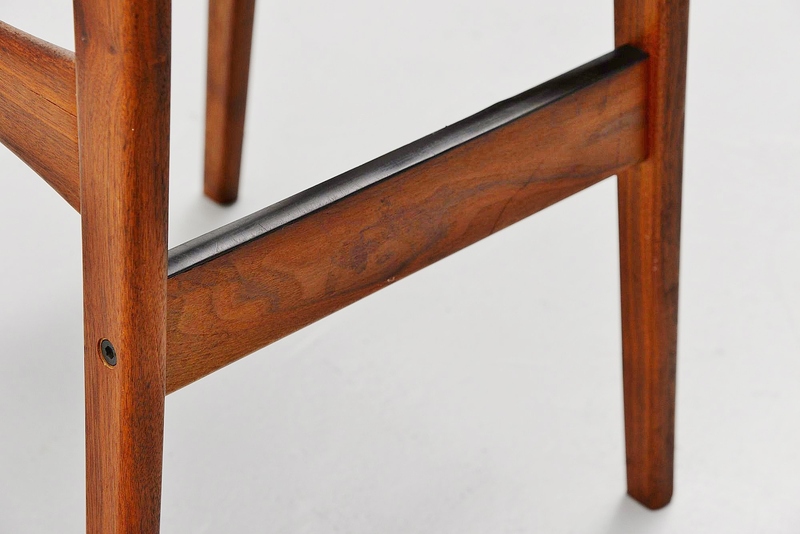 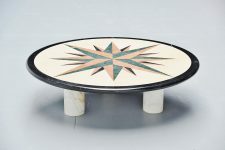 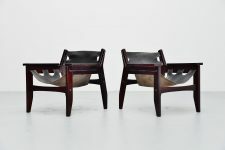 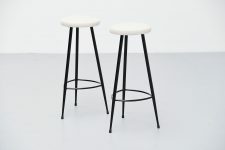 These stools have a solid teak base with black metal protected feet rest. 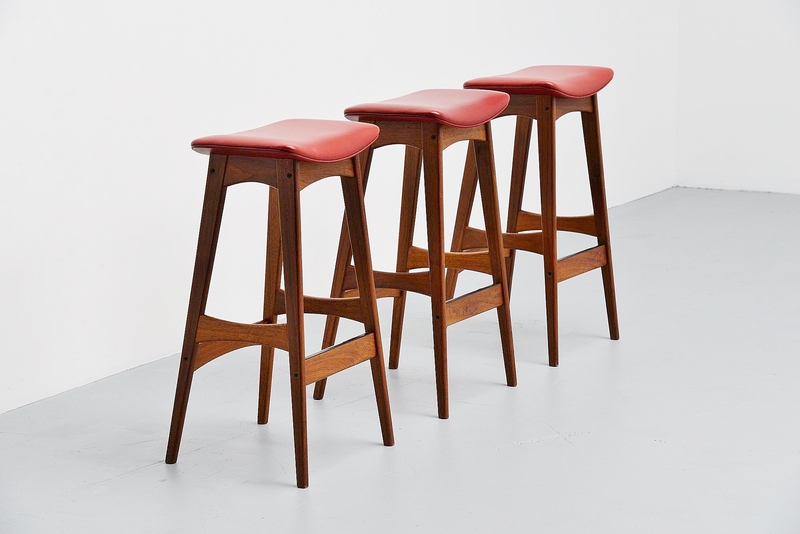 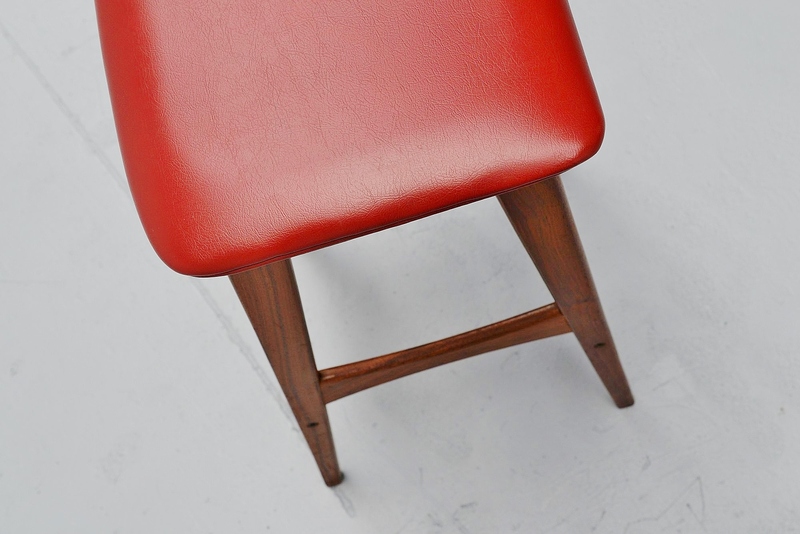 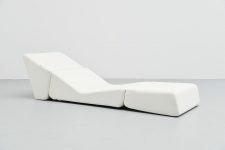 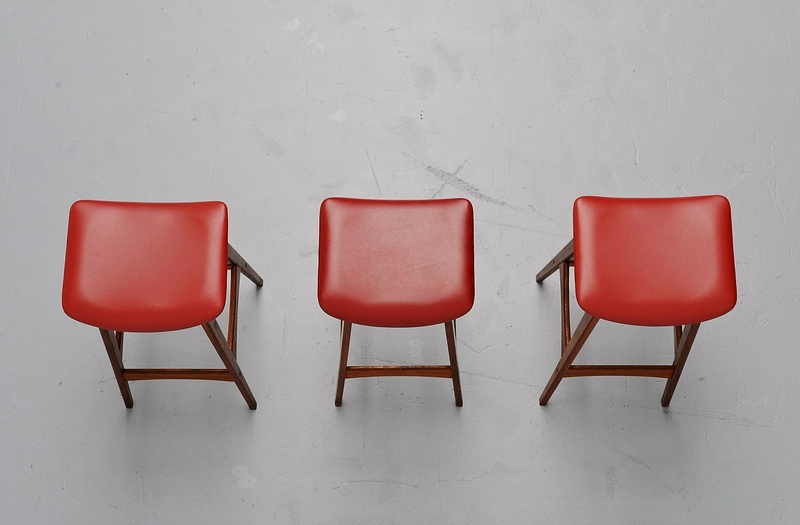 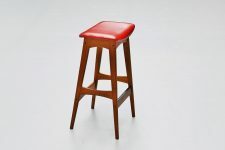 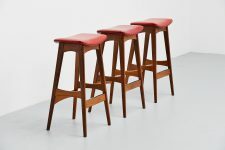 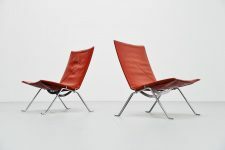 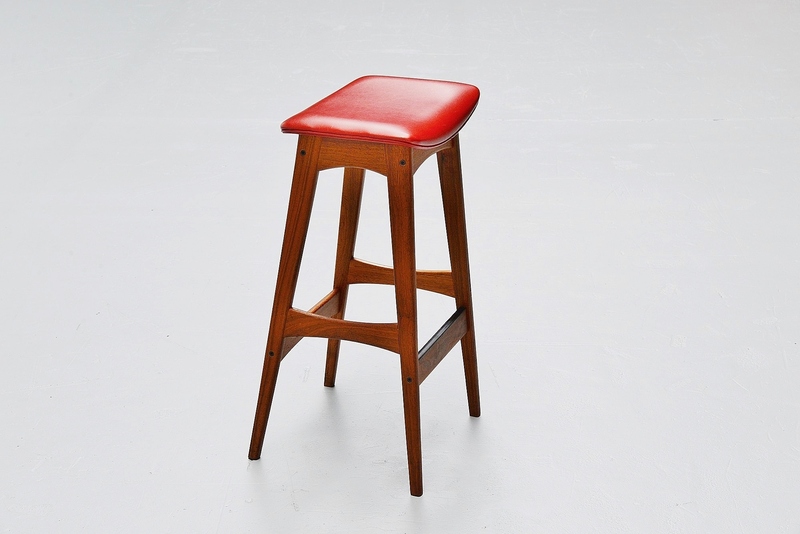 The stools are originally upholstered with red faux leather upholstery. 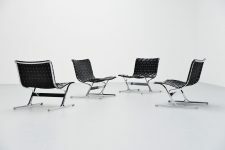 Very nice set in excellent original condition.